The folks at Seesmic has just updated their Android app, adding three very useful features – widget, geotagging and native ReTweet. If you haven’t downloaded and installed the Seesmic App for Android on your phones yet, why not grab it from the Android Market now or read along as these new features might convince you to use Seesmic’s twitter app after all. 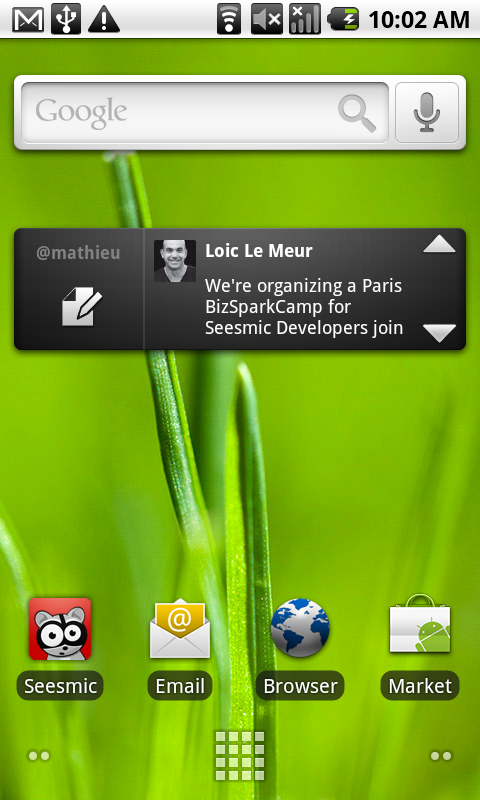 The new Seesmic for Android now comes with the first version of its widget. This allows you to read tweets entirely and compose a new tweet from the widget and then tweet it to all of your Twitter friends. To get add a widget on your Android phone’s home screen, simply long press on your home screen and add the widget to view your timeline from your phone’s home screen. 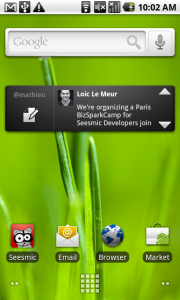 The next new addition to Seesmic for Android’s features is native retweet. It supports Twitter’s native Retweet functionality and lets you choose various ways of retweeting – that is you can either use the old quote or Twitter’s new Retweet function. Finally, there’s also geotagging feature. This allows you to tell your friends your location when you posted a tweet or reply to their messages. Geotagging also allows you to see any tweets that support geolocation geographically. All these three features just made Seesmic for Android a worth contender in the growing mobile Twitter app space. So, what Twitter client do you use on your Android Phone?